Not all real estate licensees are the same; only those who are members of the NATIONAL ASSOCATIONS OF REALTORS® are properly called REALTORS®. They proudly display the REALTOR® trademark on their business cards and other marketing and sales literature. REALTORS® are committed to treat all parties to a transaction honestly. Your REALTOR® will also want to see a preliminary report on the property title. Title indicates ownership of property and can be mired in confusing status of past owners or rights of access. The title to most properties will have some limitations; for example, easements (access rights) for utilities. 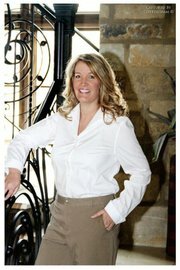 Your REALTOR®, title search company or attorney can help you resolve issues that might cause problems at a later date.